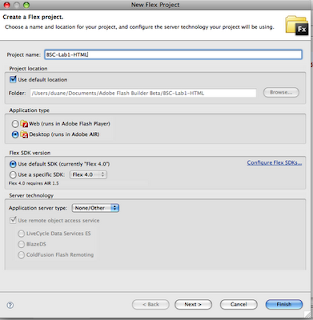 During this exercise you will also learn how to invoke an Adobe LiveCycle ES service using the Java SDK to add a visible signature field to a PDF document. The expected duration is approximately 15 minutes. Step 2: Make sure your code looks similar to the following. There should five TODOs, two of which are merely paths. We need to add code to complete the parameters required to write the code where the "TODO" markers are. Study the method signature to understand what each required parameter is. inPDFDoc — A com.adobe.idp.Document object that represents the PDF document to which the signature field is added. This is a required parameter and cannot be null. signatureFieldName — The name of the signature field. This is a required parameter and cannot be null. pageNumber — The page number on which the signature field is added. Valid values are 1 to the number of pages contained within the document. This is a required parameter and cannot be null. positionRectangle — A PositionRectangle object that specifies the position for the signature field. This is a required parameter and cannot be null. If the specified rectangle does not lie at least partially on the crop box of the specified page, an InvalidArgumentException is thrown. Also, neither the height nor width value of the specified rectangle can be 0 or negative. Lower left X or lower left Y coordinates can be 0 or greater but not negative, and are relative to the crop box of the page. fieldMDPOptionsSpec — A FieldMDPOptionSpec object that specifies the PDF document fields that are locked after the signature field is signed. This is an optional parameter and can be null. seedValueOptionsSpec — A PDFSeedValueOptionSpec object that specifies the various seed values for the field. This is an optional parameter and can be null. The first line of code you have to add will be the name of the signature field itself. This can be whatever you want. Signature fields in PDF documents are named uniquely so you can further manipulate them programmatically to do things like validate signatures, get signature values and more. Step 4: You now need to create a "PositionRectangle" object that specifies the signature fields location. This is done via 4 integers which correspond to the (int lowerLeftX, int lowerLeftY, int width, int height). These represent the position of a signature field located within a PDF document. A signature field's rectangle defines the location of the signature field on the PDF document page in default user space units. An object of this type can be programmatically added to a PDF document. Step 5: The last thing you have to do is to specify the page number. This may be confusing but values start at 1 (not zero) and go up. This is a mandatory requirement and will throw an error if left null. HINT: The document we are using is only one page long. Now run the code. Note that this lab will take about 15 seconds to completely run--probably longer if there are many people all logging in at the same time. Navigate to the path you specified for the output file and see your document. You should see a PDF document with a signature! The simplest of all clients is a simple HTML client. Adobe AIR uses the Webkit HTML engine which gives you a powerful set of capabilities including AJAX, CSS and HTML controls. 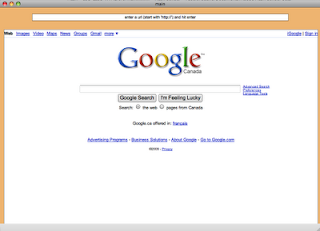 set the URL, how it handles international characters, CSS and AJAX. My co-author Dion Hinchcliffe sent me a cool email today saying that the UK Amazon site was down to only 2 books and ours is now ranked #14 overall in the category of Web design. I then saw this great write up. 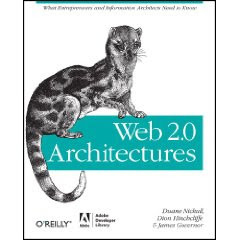 O'Reilly Media has released a new book on Web 2.0. Called Web 2.0 Architectures, this book should help you understand better the inner workings of Web 2.0 from a technology perspective and how some online services today have been successful with this model. If you are looking to understand Web 2.0 from a marketing perspective, this may not be the book for you. But if you are a web architect, business analyst or someone who wants to build your own Web 2.0 website or solution, there is bound to be some information in this book to get you started. I'd personally also like to re-thank Mark Little, Simon St. Laurent and Matt MacKenzie for their work on this book too. While not reflected in the credits, these three had an immense impact on the thinking and research that led to this book. Last but certainly not least, Tim O'Reilly himself deserves a lot of credit for challenging us on how we think about patterns and interpret Web 2.0. Again, while not reflected in the book, all of these people were instrumental in shaping this work. HB Mok pinged me internally and was really stoked to see that the Force.com toolkit for Adobe AIR and Flex has been updated. The toolkit enables developers to access data and business processes held within Force.com from a Flex or AIR programming environment. Needless to say, developers could quickly code up some rather sweet looking mashups using that data in no time at all. The main focus of the revision seems to be around the latest Services APIs, which includes both fixes and updates. It's just been released and I hope I will have time to play around with it soon. Learn more about the toolkit here and download the bits from our Code Share project.